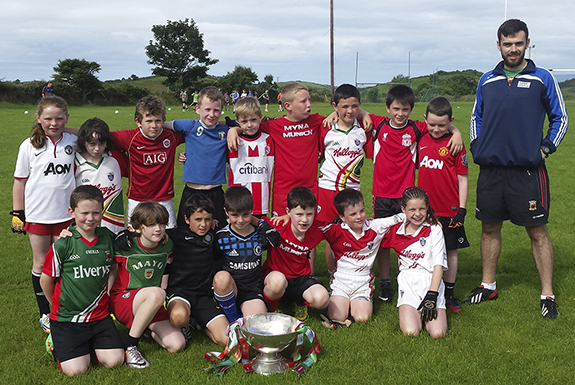 A very well attended Cúl Camps games, under the auspices of the Mayo County Board and hosted by the Kilmeena GAA Club, came to a successful conclusion in bright sunshine yesterday in St Brendan's Park Kilmeena. The Cúl Camps team, led by local man Padraic Walsh, conducted a wide variety of activities over the week for the enjoyment of the underage boys and girls. Padraic Walsh and his team of instructors.